Drum Funeral Home in Hickory, NC is opening their doors today to invite the public to watch a video and sign a guestbook to honor the life of Zahra Clare Baker. This as disturbing and horrifying details about how Zahra may have died are revealed in the warrants. There is question as to how much coming out of Elisa Baker’s mouth can be believed. Few of us believe that Adam was unaware of what happened to Zahra though and most of us expect/hope he will be arrested soon. Blink from Blink On Crime discussing breaking news in the Chris George - Tracy Ocasio cases. Jossy Mansur - Managing Director of Diario-Aruba discussing the recent story of a jaw bone found in Aruba and a possible link to Natalee Holloway. You won’t want to miss what he has to say. He has breaking news that the jaw bone is human and does belong to a young white individual. Zahra Claire Baker had been reported missing in Hickory, North Carolina on October 9, 2010. The story of the disappearance sounded fishy from the outset. Along the way the investigation has run into more bizarre, sick and reprehensible discoveries that has shocked and disgusted a nation. Zahra Backer, a 10 year old, hearing impared girl with a prosthetic leg due to bone cancer was missing and it did not take a professional investigator to point an accusatory finger back to the parents. After more than a month of searching, grim news has come from investigators as possible human remains might have been found. The police are referring to it as “Valuable Evidence”. The evidence was located after investigators searched a location reportedly suggested by Zahra’s stepmother, Elisa Baker. The stepmother is presently in jail as she was arrested after Zahra was reported missing on unrelated charges of communicating threats, writing worthless checks, larceny and driving with a revoked license. She has also been since charged with felony obstruction of justice for writing a fake ransom note. Investigators said that search teams in Caldwell County found evidence during a search of Gunpowder Creek, about 70 miles outside Charlotte, that “could provide valuable information in the Zahra Baker case.” Officials said the area, which has been searched before, was one of the locations that Elisa Baker suggested search crews look, CBS affiliate WBTV reported. The evidence has been sent to the State Medical Examiner’s office in Chapel Hill. From there it will be sent to the State Bureau of Investigation’s lab for DNA testing, according to the station. How does a little girl who survived two bouts with cancer that cost her hearing and leg only to wind up missing, murdered and worse? The system failed Zahra Claire Baker on every count. Who was looking out for Zahra? This case is so sick and twisted, sadly it will probably get worse. This henious case so reminds me of 3 year old, developmentally disabled, autistic boy, Marcus Fiesel, who was first reported missing only to find out he was murdered by his foster parents and burned. That case had the same issue of not passing the smell test as we told the Middletown Journal. There are Web sites that feature photo albums, message boards, chat rooms and slide and video shows. One of those is www.scaredmonkeys.com, dedicated to exploited and missing children. “Red,” one of the site’s co-founders, said after news of Marcus’ disappearance was linked to his Web site, he received an e-mail from Marcus’ foster mother. She chastised the site for their portrayal. 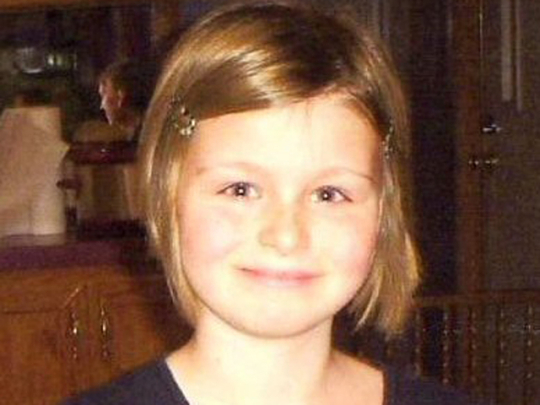 From the outset, the case of missing 10 year old Zahra Clare Baker had the same ick factor. There is also a special place in hell for those that murdered Zahra. To provide your opiniion and get further updates go to Scared Monkeys.net Missing Persons Forum: Zahra Baker. Police in Hickory, NC have confirmed that every one’s worst and suspected fears have come to fruition. The remains recently recovered were that of missing 10 year old Zahra Baker. Grim police trying to solve the disappearance of a 10-year-old North Carolina girl confirmed Friday what they’ve long suspected: The freckle-faced child with a prosthetic leg and bone cancer is dead. But the mystery of how Zahra Baker perished deepened as authorities gave a terse briefing, revealing that one of her bones was found five miles away from other remains they believe belonged to the girl.